Sometimes I get a question from a reader or friend that is too good of a question not to share more broadly with you, My Dear Reader. What makes a good question? Sometimes it’s because it’s a subject I’m particularly passionate about, sometimes it’s a question I get frequently, and sometimes it’s a question that I think is really important and by putting my opinion and knowledge here, I can get feedback and learn something from all of you too. Here’s the (revised and edited) question. “My mare did great finishing a tough 50. There were 3 loops: two 20 mile ones and a 10 miler. She had all A’s on her vetting in card the night before. My concern was that while she did drink during the first 20 mile loop, she didn’t much on the second 20 miler or the last 10 miles. Her parameters for hydration plummeted all day: skin tenting went from A- to B to B- (or perhaps a C, I can’t recall right now) and cap refill went from A to A- to B. Gut sounds stayed at A in all 4 quadrants all day. The vet wasn’t worried though because her CRI was 40/40, 40/48, and 40/36 and nothing else was below an A. She said that if she was dehydrated there was no way her CRI would be that great. Hydration and soundness are key to finishing endurance rides and the vet card evaluation can be roughly divided into parameters that fall into one of these categories, with some overlap. 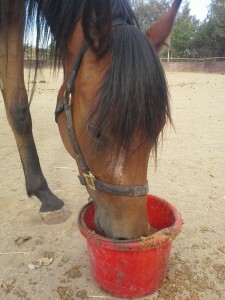 Fact: Your horse will be dehydrated finishing a 50 mile ride. The trick is to minimize the hydration as much as possible because small amounts of dehydration can impact performance and large amounts of dehydration can kill the horse. No bueno. Putting too much emphasis in any one parameter to evaluate how a horse is doing is NOT SMART. There’s a reason we have lots of different pieces – they are all needed to provide a more accurate picture of how the horse is actually doing. That being said, some of the parameters are more helpful than others. The most useful parameters are those that have the least variability when evaluated by different people (ie, aren’t subjective), and are consistently accurate reflections of what we do care about – the actual hydration status of the horse. You mentioned skin tent, gut sounds, cap refill, and CRI. By far, this is the LEAST helpful of all the hydration parameters. Skin tent varies based on the person doing the test, where the test is done, age of the horse, presence of sweat/moisture on the skin, and yes – hydration. The skin tent is the most accurate when the same person is doing it over time and it’s evaluated against the individual animal, AND it’s interpreted in light of what the rest of the horse looks like. Bottom line: I wouldn’t waste one little ounce of energy worrying about a poor skin tent grade if the rest of the horse looks fine. It can be used to support a decision of hydration, but a decision of hydration should not be made on skin tenting alone. This is a tricky one. Yes, hydration definitely impacts gut sounds – but gut sounds is a compilation of a LOT of different physiological parameters. It’s a good way to overall assess how the horse is doing…..but since so much goes into “good gut sounds”, including a mental/expectation component, it’s hard to say “this horse is hydrated” or “this horse is dehydrated” based on gut sounds. Gut sounds fall into the category of subjective parameters. 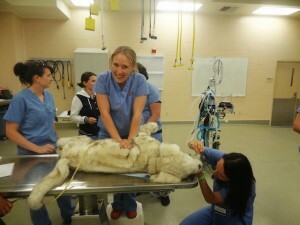 I wouldn’t necessarily worry about an “A” grade versus a “B” if you are working with different vets throughout the day. Getting a “C” is probably significant, or if the same vet who has been giving you A’s all day suddenly gives you a B-. If you are concerned about the gut sounds, ask the vet how your horse compares to other horses they have seen that day at that check. Often even with a “B” score you may be told that your horse sounds great compared to the rest of the pack, especially on a hot, difficult ride. In those circumstances I worry a little less. I still do my due diligence, but I know it’s a product of the trail and not that my horse is acting abnormally compared to the rest of the horses traveling on the same trail. CRT should be somewhere between 1-2 seconds. Too fast is bad. Too slow is bad. This is a biggie when it comes to dehydration. Dehydration = hypovolemia, which means “low volume of fluid”. Specifically this low volume is reflected as blood that has less fluid in it. The reasons for CRT changes aren’t always dehydration, but at a ride in an otherwise stable horse, a slow CRT is probably due to dehydration. In general, it’s a good parameter to pay attention to when it comes to hydration. Less helpful is the scoring system. A? B? C? More helpful is the actual CRT. Was it 1 second consistently until this check where it’s now 2 seconds? That would worry me. If you’ve been consistently getting A’s for a 1.5second CRT and a different vet gives you a B for a 1.75-2 second CRT….eh. I’m not as excited. CRT is most helpful when evaluated with mucus membrane color and moisture, and jugular refill. Evaluating these 3 parameters, along with keeping an eye on gut sounds and heart rate (both of which can be more heavily influenced by non-hydration factors) is a good way of monitoring hydration. 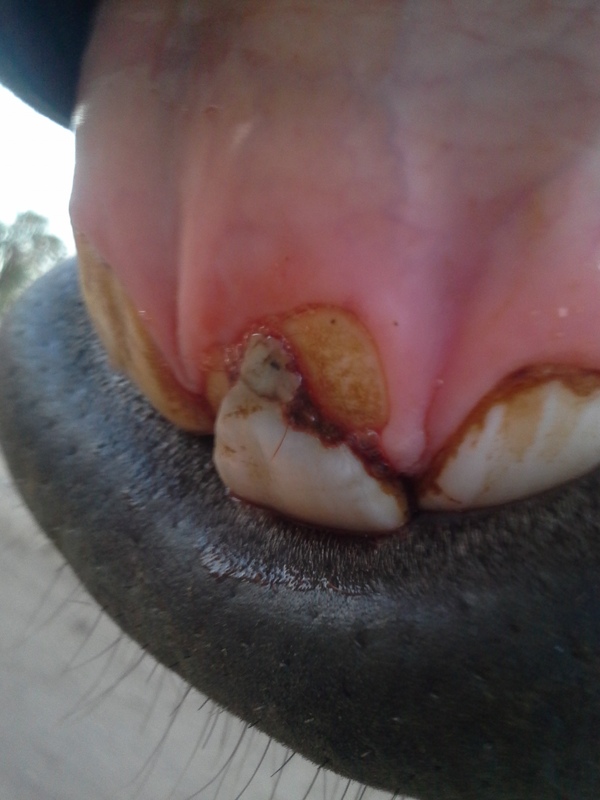 FYI, while this is a good pic of mucous membranes, this horse is obviously too young for an AERC ride! Those permanent I1s (tooth number 101 and 201) comes in at 2 1/2 years old! The heart rate of the animal, like gut sounds, can be influenced by a LOT of different things, including hydration. In the studies looking at statistically significant parameters that predict future pulls, heart rate is way up there….probably due to it’s consistency of measurement between people (5 different people measuring heart rates will probably get a number that is within a beat of each other) and because heart rate is a good overall parameter of how the horse is doing – not just hydration. I think that CRI’s, as presented are not that helpful to evaluate how a horse is doing. Here’s why. I have no idea whether the CRI was performed at the end of the vet check when the horse was well rested and calm, or whether you came straight off the trail and vetted in. The CRI’s of the 2 different scenarios will look different and it’s why in best condition judging we are so adamant that you *must* come back to the vet at certain predetermined times after finishing. Otherwise it’s near impossible to compare CRI’s of horses to determine which one is “better”. Ignoring time for a second (heh), here’s my other thoughts on CRI’s. In general, I don’t look at the actual numbers of the CRI’s unless they are above 60. I look at whether the CRI is the same, increased, decreased by a lot, or decreased by a little. Honestly, even though the heart rate is “low”, the 40/48 CRI would worry me more than a 60/52, or a 48/48 assuming both horses were 15-20 min into the hold, there was no stimulating activity happening during the vet check etc. We all like low heart rates…but that’s not the whole story and that’s the point of a CRI – to try and control for the different resting heart rates of individuals. 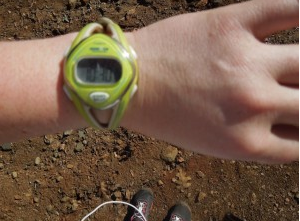 What is more helpful is heart rate AND time information. How much time did it take for your heart rate to come down to criteria. Does the heart rate continue to decrease and then and hold steadily through the check, or does it keep spiking even while the horse is resting quietly? Did you vet the horse in near the end of the hold and did it have an inverted CRI? These things can indicate their is an issue, including dehydration. Based on the numbers and scenario you gave me in the beginning I wouldn’t necessarily be concerned. However it’s important to keep in mind that these are only indicators of what might be happening and looking at numbers and scores can’t substitute for looking at the horse. Most of the time we can trust the ride vets. It’s good to critically evaluate, but in general A-B scores and a smile and a compliment means you are doing OK. I remember near the end of a 100 I was complaining how I thought my horse was tired blah blah blah. And the vet just looked at me and said of COURSE she’s tired. She’s done 80 miles. We EXPECT them to be tired right now. Tired isn’t an issue. It’s normal. We are looking for indications that it’s something more. So if you’ve travelled 20 miles, you shouldn’t look like you’ve travelled 45 miles. At 45 miles it’s OK to look like you have gone 45 miles. For some parameters, what it takes to earn an A or B shifts slightly as the ride goes on. Rarely do I see a horse trot out at mile 80 with as much bounce as they did at the vet-in, but they can still earn an A. ALL horses are dehydrated at the end of the ride (it takes about 5% dehydration before we can see it from the “outside”). ALL horses are more tired at the end of the ride than the beginning. The game of endurance is about managing and minimizing. Mel, this was so very helpful and informative! Thank you thank you thank you! I really need to print out some of your posts and just keep them in a binder for future reference. This would be one of them. Thank you! Thanks for replying to my question!! 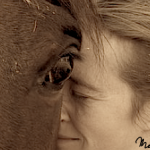 To give a little more information: she came off the trail with those values – all I did was pull tack and walk the 30 feet or so to the vet. She had no spikes in heart rate and vetting was empty for the 40/48 and 40/36 readings. I was concerned when she came in at 40/48 the second hold due to the 8 beat difference, but again the ride vet was unconcerned. She said she would be more concerned if she had come in with 50 and went to 58 than 40 to 48, but didn’t explain why and I was holding up the line by that point. Otherwise, she looked and felt great all day. She trotted readily and had her typical bright and mischievous look in her eye all day long. Her CRT was really delayed at the end: 3.5-4 seconds which I why I was alarmed, but the vet said her overall impression was of a happy and sound horse. I kept a close eye on her all night and she looked as if she had gone 50 miles and could have gone 50 more. I know I emailed you….but copying and pasting some of the info for the benefit of others. Crt of that duration…..mmmm…..really curioys about mm and jug fill now. Horses are great liars, probably the best, when it comes to hiding signs of hypovolemia. Not as commonly with dehyration but really commonly seen with horses that have lost a lot of blood. They actually seem brighter and more active as they desperately try to compensate before they crash. I think I would really closely watch jug fill and mm and crt at yout next ride independently of heart rate and gut sounds and see what you notice. Fyi I do think CRIs are useful. My point was that they aremost usful when used in the context of time. Sirry if that was unclear. Sorry – one more question!!!! Do you know why the vet would be less concerned with an 8 beat jump when the initial pulse is 40 versus 50? I think it probably has to do with the fact that the 40 was very low and more likely to produce a slightly higher value with exertion that an initial reading of 50, but that could be way off base. I really appreciate you taking the time to write it up. I always learn something from your posts. I think that low heartrates lull us into a sense of false security. I know that personally that the vet and I were tricked by Minx’s low heart rate (48) when she colicked the time that we actually euthanized. I’ve seen more than a few horses get into trouble at rides, even though the heart rate was well below 60. I rider optioned at a ride with a very dehydrated horse with no gut sounds that met pulse criteria easily. I think personally, I would be suspecious of an 8 beat jump in a horse that otherwise looked OK, unless there was an obvious excitement reason, no matter if the starting heart rate was 40 or 50. In fact, I think I would be MORE comfortable with a 60/68 especially if the horse just came off the trail – I’d chalk it up to a horse that is still recovering. But in this case it was a one time thing that didn’t continue throughout the ride…..so I’d might give it a pass – I’ve told by vets (and now from the other side of the fence I understand) to “let the trail sort it out” because often it was either or fluke, or something else goes “wrong enough” we can put our finger on it. Obviously we are in the realm of personal opinion now and I will gladly defer to my “betters” in this matter…..but heart rate isn’t the whole story for sure. Thanks for such a clear explanation on a topic that is anything but. Currently, I’m thinking that the best thing I can do for my horse is just to know him as well as possible and try different riding/conditioning/training strategies so I get an idea of what he looks like in different situations. That’s an excellent assessment. LOL.